Speaking of which are we still waiting for the result of Bussineau's resubmission to SGC? 2 to 5 to 7.5... bunch of one uppers in here. Hope people aren't tired of seeing this yet again. If so, my apologies. I don't have any vintage Gehrigs to show, but I watched an old western movie over 20 years ago and Lou Gehrig had a starring role. All rather silly but Lou looked like as good a hero as any anybody in those old cornball 30s westerns. Had a bil 'ol smile then too. Haven't seen that movie since. I could google it I guess, but I'm sure someone here knows all about it. David, anyone tired of seeing that card should stop collecting! That card of yours is one of my fav cards in the hobby, makes me say when I grow up I wanna be David. 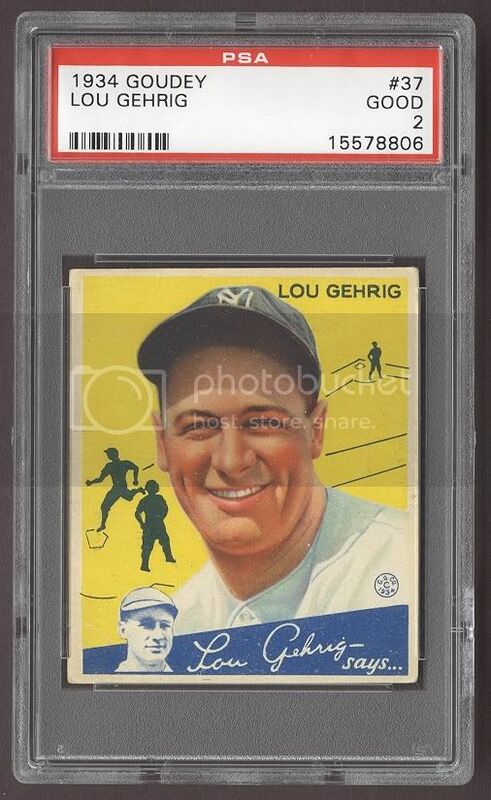 That Gehrig is one of the next cards I want to buy. I absolutely love it. 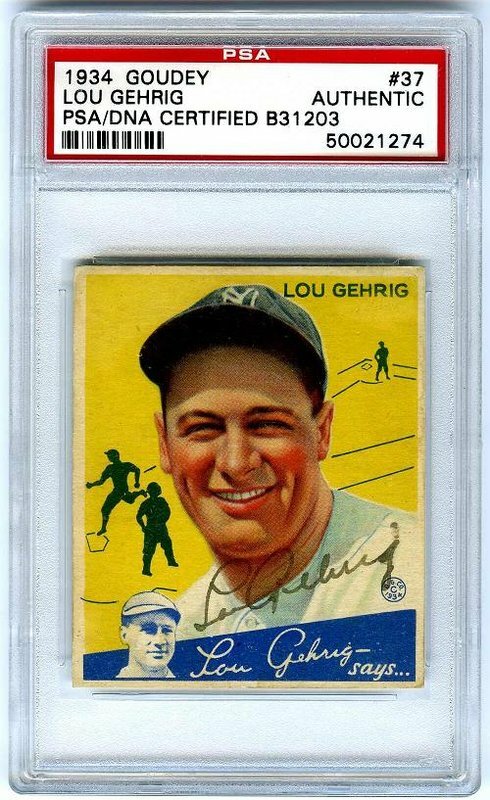 My favorite of all the Goudey Cards, my favorite Gehrig, and that's probably my second favorite pre-war card after the T206 Johnson portrait. I googled it and watched it. 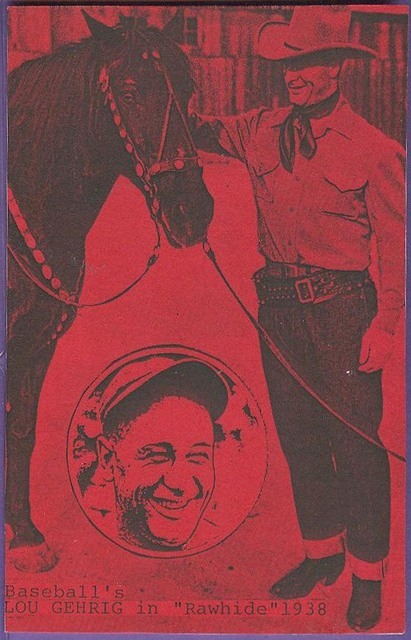 It's called 'Rawhide' and Gehrig is the star of the movie. It was awesome! 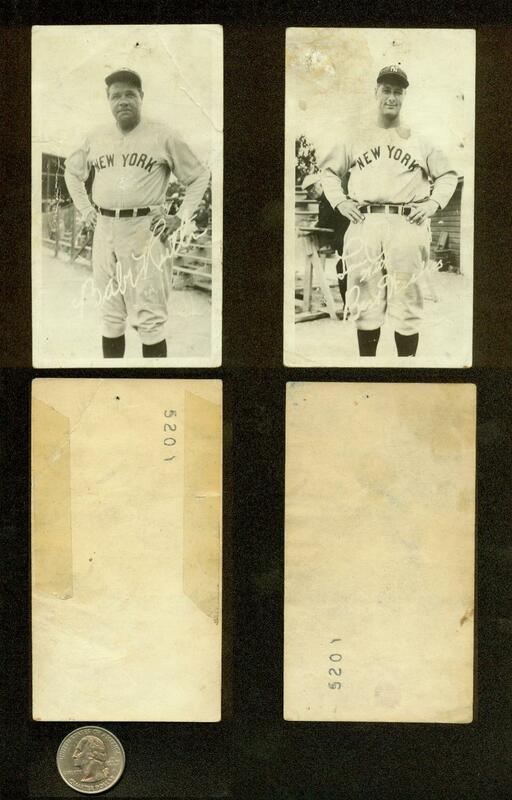 If you haven't seen it, and you're a Gehrig fan, you should watch it. He did a nice job and was very likeable throughout. The music was cool too. It's on youtube if anyone's interested.